Hatria is the Marazzi Group company that specialises in the production of ceramic sanitary ware for the contemporary bathroom. Washbasins of all types and shapes, floor- or wall-mounted WCs and bidets and shower trays: these are just some of the articles to be found in the Hatria catalogue, which also includes bathroom furniture, shelves, accessories and towel holders. 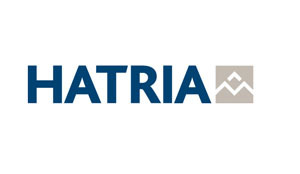 The innovative technologies employed by Hatria in the new, cutting-edge production plant in Teramo ( Italy ) are fundamental to the development of a range of bathroom products that are continually evolving and improving, with the creative contribution of major names in the field of design. Aesthetic research, high technology, functional design, reliability and tradition: these are the cornerstones of Hatria’s action strategy.